The University of the Philippines, the country’s national university, launched the revitalized UP Resilience Institute (UP RI) to provide Filipinos with innovative information vital to lifesaving climate change actions and disaster risk reduction efforts, on June 20 at the Ang Bahay ng Alumni, UP Diliman campus. With the theme, “Empowering local communities through multi-disciplinary actions toward resilience,” the event introduced the UP RI as a proactive hub for collaborative works of experts in the fields of Science and Technology as well as the Arts and Humanities. UP President Danilo L. Concepcion said “the UP RI, with the UP Nationwide Operational Assessment of Hazards (NOAH) Center as its core component, is committed to providing sustainable, inclusive, and multidisciplinary approaches and responses to our country’s disaster problems.” Concepcion also emphasized the role of the University in protecting life, in general, especially in saving and uplifting human lives through such initiatives. Lagmay said the NOAH project has helped local government units since 2012 in empowering communities and in averting more than 15 potentially fatal calamities through NOAH’s probabilistic multi-scenario-based multi hazard maps. Guests of honor and resiliency advocates who attended the event included: Senator Loren Legarda, United Nations Office for Disaster Risk Reduction Global Champion for Resilience; Representative Joey Salceda (2nd District of Albay), United Nations Senior Global Champion on Climate Change Adaptation and Disaster Risk Reduction; Dr. Michael L. Tan, Chancellor of UP Diliman; former UP president, Alfredo E. Pascual; The Netherlands Ambassador Marion Derckx; Department of Social Welfare and Development (DSWD) Secretary Judy Taguiwalo; former senator, Heherson Alvarez; as well as UP System and UP Diliman officials, deans, faculty, and staff, and, many other UP RI partners. In their respective keynote messages, Sen. Legarda, Rep. Salceda, and Chancellor Tan highlighted the need to mainstream the important lessons learned from their decades-long experience and advocacies in climate change adaptation, disaster risk reduction and management, collaborative efforts, and scientific interventions. They expressed full support for UP RI, UP NOAH Center, and UP, and emphasized the need for solidarity in building a safer, more resilient and sustainable community and nation for all. 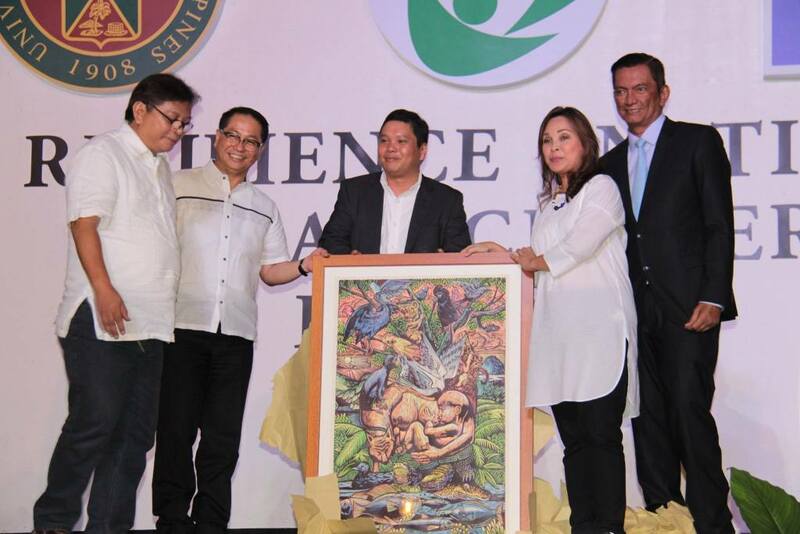 Keynote speakers received an artwork made by former UP College of Fine Arts (UP CFA) Dean and University Artist Neil Doloricon. The artwork, “Inang Kalikasan”, depicts Mother Nature, ecological balance, and the cycle of life. It was produced through a relief printing process using rubbercut as a medium and hand-painted acrylic colors. 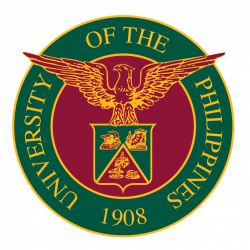 Special recognition was also given to UP CFA Professor Joey Tañedo for creating the UP RI logo. It symbolizes the academe, government, and the people in cooperation, unity, and solidarity, all of which are essential to developing human resilience. Original environmental music, “Nasa Atin Ang Panahon”, was performed by the group Layag, and “Muling Pagbangon” was sung by Ferdie Jarin of the UP College of Arts and Letters (UP CAL).